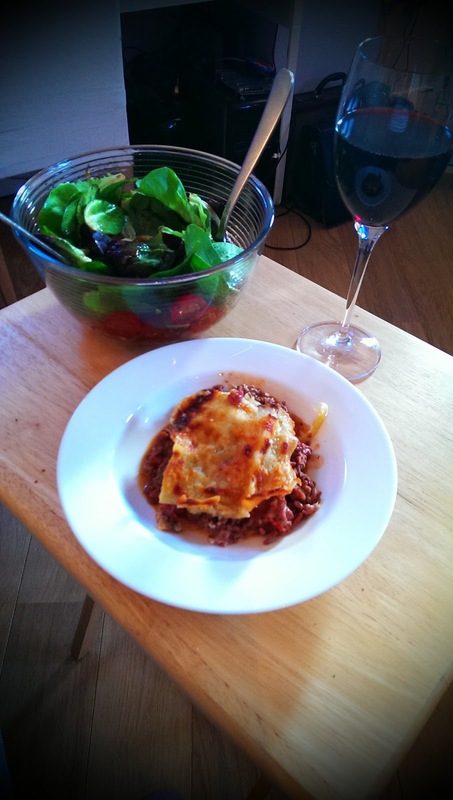 Life is like a good lasagne - lots of layers, a sprinkling of cheese and best served with great friends and lots of wine!! I like a cheesy analogy, but I prefer lasagne on my plate and I'm sure you do too - so here's my recipe* for a quick, easy & tasty lasagne from scratch. *Because this is how I make it and not an actual recipe from a book, quantities of ingredients aren't exact - you'll need to use a little judgement when you're cooking this, but don't worry, it can't go horribly wrong! Firstly set the oven to about 200 degrees conventional / 180 degrees fan and get your meat sauce on the go. In the large saucepan, fry the onion and garlic in a big glug of olive oil until they are soft (don't let the garlic go brown and crispy - this does not taste good!). Add the beef (and pork if you are using) and fry until there are no pink bits left. Now put the mushrooms in and cook for a further minute or so, making sure that they all get coated in the nice garlicky meat juices. Season with salt & pepper. Pour in the entire can of chopped tomatoes and juice. Clean the can by swilling it with a couple of slugs of the red wine and then pour that into the pan as well. 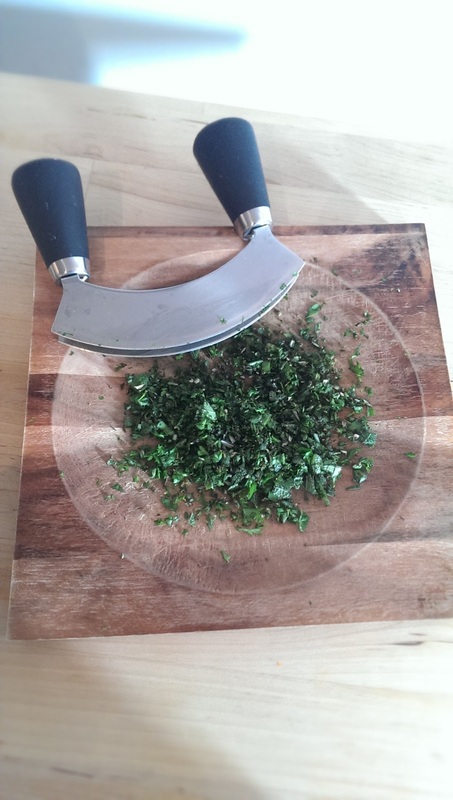 Add a big squeeze of tomato purée and the chopped herbs. Give it all a good stir and let it bubble for a minute or so and then have a taste - give it some more salt & pepper if you think it needs it. Turn down the heat so it's just simmering and pop the lid on. Let it gently bubble away while you make the cheese sauce. Make the thin version of this white sauce - recipe here (sorry - not about to compete with Mrs. Craddock!! 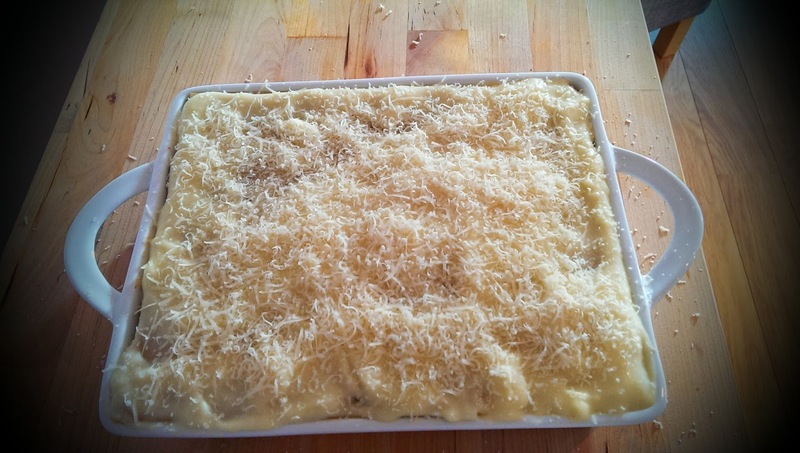 ), season with salt & pepper and then grate in enough of the cheddar cheese to make it thicken up and so that it tastes as cheesy as you want it to (taste as you go along). Okay - now you're ready to assemble your lasagne! 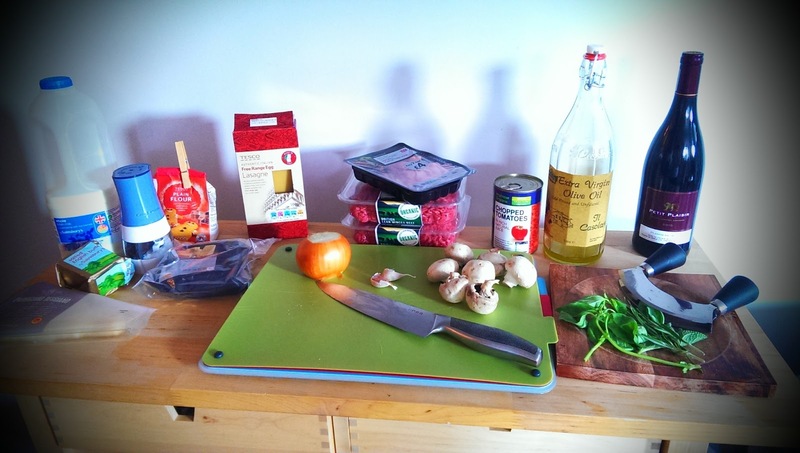 Start with a base of meat sauce - about half of what you've made. Top this with a layer of lasagne sheets (straight from the packet - no need to cook separately). Again using about half of what you've made, cover the lasagne sheets with cheese sauce and then add a sprinkling of cheddar cheese. Next comes the layer of smoked ham. 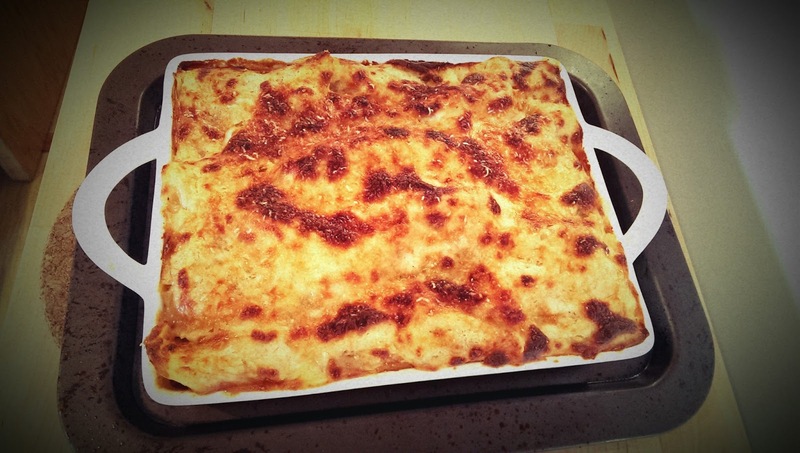 Then start again with the meat sauce, lasagne sheet and cheese sauce. Serve up with a nice fresh salad and a glass of the red wine - now that's what I call dinner!